Not too long ago, we featured Loop Taxi, a game that allows you to drive a taxi (or other vehicles) round and round a loop, picking up more passengers and earning more money, all while avoiding city traffic and those fast-moving cop cars, fire trucks, and ambulances. However, Gameguru has another new game in the “Loop” series called Loop Drive 2, the sequel, of course, to the original Loop Drive. 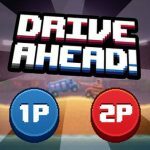 The game promises new tracks, easy and hard difficulty levels, as well as new cars, but the mechanics are still the same – just keep driving around in a loop and make sure you don’t crash your vehicle, press left to brake and press right to accelerate. It’s not really an impossible race as Gameguru claims it is, but this is a game that can get challenging, despite its being very easy to play. You probably won’t be needing this if you’ve played the original Loop Drive or its close relative, the recently-featured Loop Taxi. 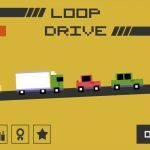 But if you’re new to Gameguru’s Loop series, or want to pick up a new trick or two to get a high score and survive longer, try these Loop Drive 2 tips and hints. As we said above, the controls to Loop Drive 2 are quite easy to figure out – tap left to brake, tap right to accelerate. But you should also be careful of tapping elsewhere, as that’s going to have you hitting the gas by default. 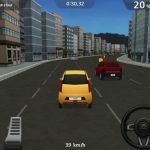 Play the game with your fingers where they should be on the screen, and try to find the perfect balance between accelerating and hitting the brakes so that way, you avoid more cars and last longer in the game. Earning coins in the game can be a long and arduous process, especially if you have several bad runs in a row. What you may want to do instead is to watch ad videos. One video trailer is worth 250 coins free of charge; as the cheapest cars cost a thousand coins, that won’t be enough to buy you a new vehicle. Still, as long as there are videos being served up, you can go watch them and watch those free coins pile up. Unlike in Loop Taxi, where you can pick up a few passengers quickly with a sports car or a lot of passengers, albeit slowly, with a bus, the cars in Loop Drive 2 seem to perform very similar to each other. If there’s any difference in terms of gameplay, it’s that the smaller cars are smaller targets, making them better for chasing high scores, and allowing you to sneak through traffic easier than you would if you were driving a big car. 4. What Are The Benefits Of Expensive Cars? Now, you may be wondering why you’d want to buy cars that cost 25,000 coins and above when the cars are all virtually identical in terms of performance, regardless of price. The reason behind this is that the two most expensive cars (25,000 coins and 35,000 coins respectively) permanently get rid of the ads. Gameguru seems to love giving out free prizes to gamers, as its prize wheel is back on Loop Drive 2. (It often seems rigged, but it’s nonetheless worth a try!) The ten-ticket prize appears to be a common reward here, and with more tickets comes more chances to spin the wheel. This could easily mean a ton of free coins, or maybe a new car or two, if you get lucky with your subsequent spins. This wraps up our exclusive guide for Loop Drive 2. 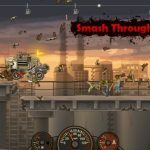 If you like this set of tips and tricks or know additional hints for the game, let us know by commenting below!